Yesterday I wrote about New Holland Honeyeaters bathing in our bird bath (click here to view that post). While the New Hollands are by far the most frequent and noisiest of the visitors to the bird bath, many other species also come to bathe or drink during our hot spells in summer. 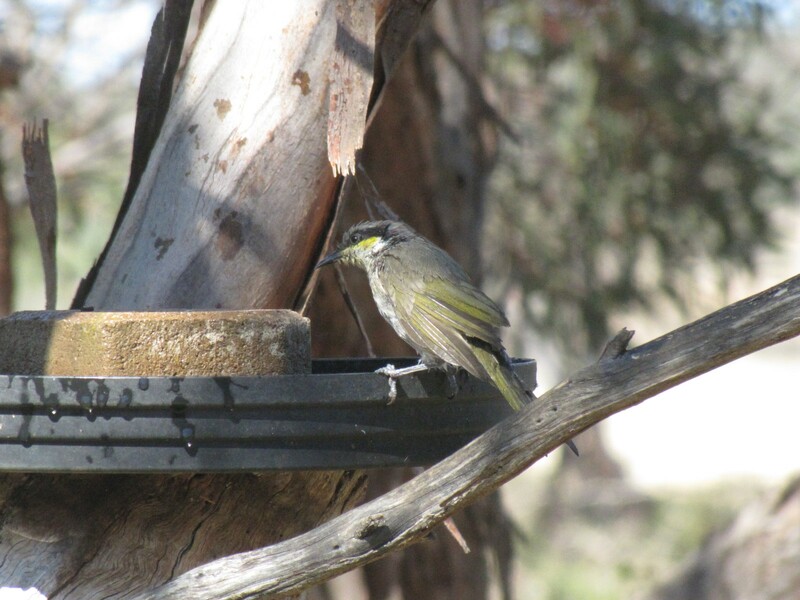 The New Holland Honeyeaters may come individually, but they are more prone to come in a flock of a dozen or more. The result is usually very noisy – and water sprays everywhere. 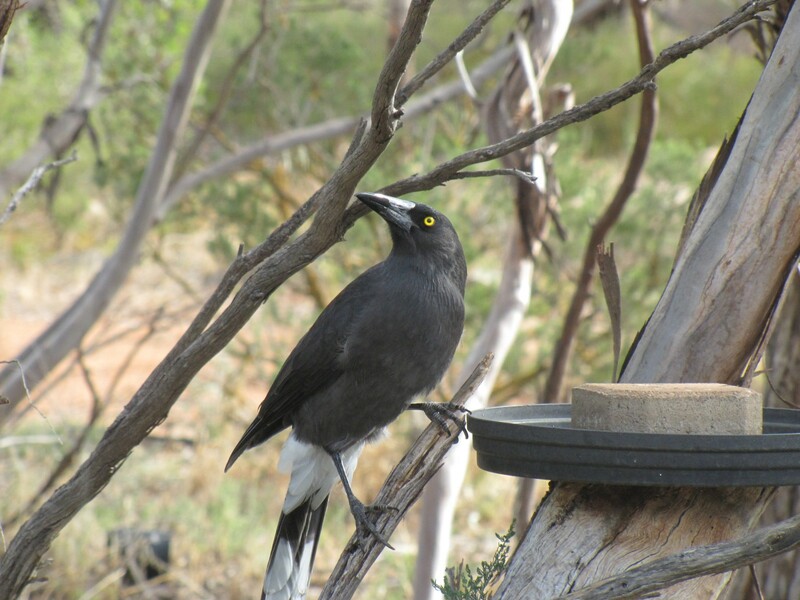 By way of contrast, the Singing Honeyeater shown in today’s photo quite often comes alone, or at most, two. They tend to be far more solitary birds in our garden. They often wait a short distance away while other species drink, then slip in quietly to drink when calmness returns. We have recorded over 100 species in our garden over the last 28 years. Of these, more than 40 could be regarded as resident breeding species. 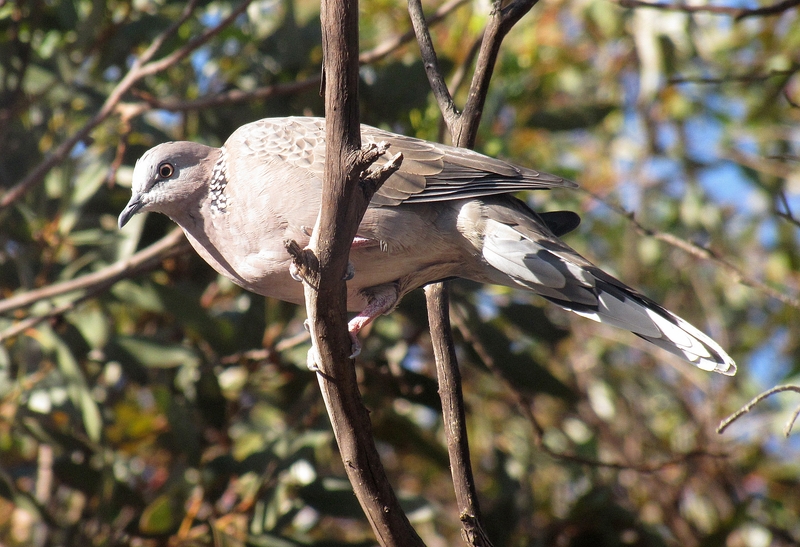 One of the resident breeding birds is the introduced Spotted Turtledove. 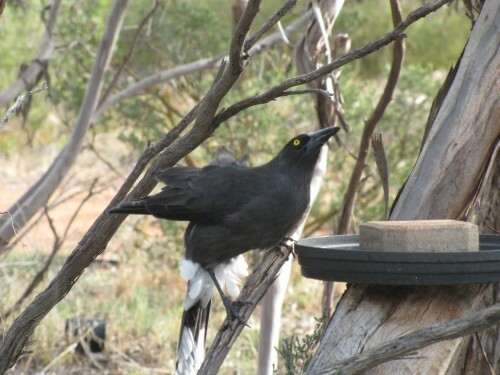 In some parts of urban Australia, this species is so common it is regarded as a pest species. In our garden, however, we only have a handful – perhaps 3 or 4 – at any one time. They’ve been rather quiet over the last month or so; their incessant cooing can drive one to distraction if you are trying to concentrate, or have a headache. I haven’t searched the garden but they may well have been keeping quiet while they nested. While having breakfast this morning this individual came to visit the bird bath just outside the sun room. This is a flighty, easily scared species, so it was good to get a close-up photo.